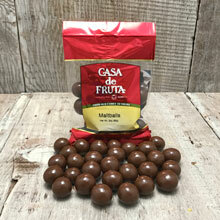 Malted balls covered with creamy rich milk chocolate are a decadent combination of crunch and chocolate. Packaged in a 3 oz. bag.